SMTP hosting is a standard part of many hosting packages. It enables you to send mail and can be customized to help you manage your site’s official communications from simple email to mass promotional mailings. This technology has been around since the early ’80s, when guidelines were developed to allow communication servers a quick and consistent method for sending electronic mail. While more intuitive and secure alternatives are currently in development, for most denizens of the Internet, SMTP is the gold standard for getting one’s message into the electronic ether. While it remains disturbingly easy to send spam anonymously, most hosts have configured their SMTP servers to provide much greater security than the now-infamous open relay configuration. Inclusion of a traceable Internet Protocol (IP) address linked to message senders. In order for an SMTP relay to not be considered an open relay, it has to meet some requirements. It must be configured in such a way that it will only accept and forward certain types of messages. From non-local IP addresses to local mailboxes. These messages must come from e-mail clients that are authorized and authenticated. So, an SMTP relay that has been secured properly will not accept e-mails from non-local IP addresses to non-local mailboxes when they are from an unauthorized user. Should you choose to use your host’s SMTP servers, you’ll still most likely receive a custom SMTP server configuration using your hosted domain. This means that the email you send comes from “you@yourdomain.com” rather than “you@ISP.com” or “you@popularInternetemail.com” and lends an air of professionalism to your messages. And because your messages are still identified by other systems as originating from the “safe” server of your host, they’re less likely to be regarded as suspicious by anti-spam security systems on other servers. Who's Best for SMTP Hosting? We think SiteGround is the best choice for SMTP. How Does SMTP Work to Send and Deliver E-mails? The mechanism by which SMTP mail gets sent and forwarded is a little bit complicated, but I’ll break it down for you. When you click “send” on an email, you are uploading the text contents and attachments to the email server that hosts the email service. Again, this e-mail server is called the SMTP server. Perhaps this is provided by your web hosting company or by your ISP. Then, the e-mail service relays the information to the server of your recipient’s e-mail service. This mail server will look for the recipient e-mail address and then deliver the information to the POP3 or IMAP server. This server then delivers the e-mail to the client. An SMTP server can pass mail to another SMTP server. Of course, you can also send mail to people on the same SMTP server as your e-mail service. This means you can send mail to people using an e-mail on the same domain name. For example, sending e-mail from one Gmail account to another Gmail account would go through this process. In this case, the SMTP server transfers your mail to its local outgoing server (POP3 or IMAP). POP3 servers are incoming mail servers. These servers hold onto our e-mail ID’s, consisting of our username and password combination. An SMTP server hands the e-mail to the POP3 server after checking that it holds the valid e-mail address that the e-mail is addressed to. But, POP3 servers present one problem. Once an e-mail client downloads an e-mail from the POP3 server, it no longer holds a copy of the e-mail. This means people wouldn’t be able to check e-mails from more than one PC. But, this also means that POP3 will use less server space. IMAP, on the other hand, does retain a copy of the e-mail on the server so you can access your e-mails from any device. 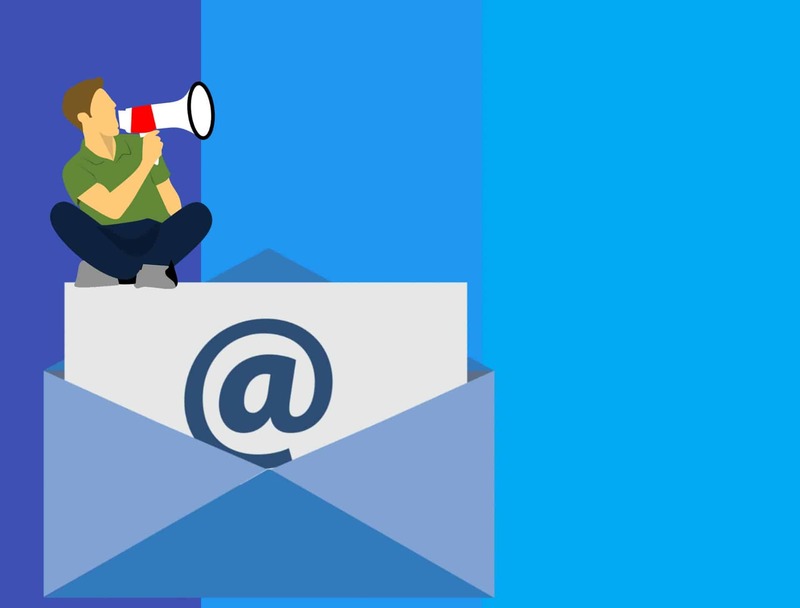 This means users are able to connect multiple e-mail clients to their e-mail server. As a result, IMAP is much more convenient and is a preference for most people these days. IMAP is also preferred because it doesn’t download attachments automatically. This saves data when viewing your e-mail from your smartphone and also saves time that your client would spend downloading attachments before allowing you to view your e-mails. IMAP and POP3 both allow you to view your e-mails offline. What is SMTP Authentication and How Does It Work? SMTP authentication is necessary for e-mail clients, like Outlook Express, to identify themselves to a mail server. As we know, mail servers will only allow mail to be sent by authorized and authenticated mail clients. So how are e-mail clients authenticated? When you send an e-mail, your mail client identifies itself to the mail server using your account’s username and password. If these credentials are valid, then your email will be relayed to its destination. You will have to set up your e-mail client with the information it needs to connect to your e-mail server. Once you have e-mail, from a hosting provider or your ISP, you may want to set up your account with an e-mail client. One client people use for this is Outlook Express. This allows people to access mail from an application on their desktop. You can often access your e-mail messages from the control panel provided with your web hosting. But let’s say you want access to your e-mail from the desktop of your computer or from your smartphone. This set-up involves configuring your SMTP server so that it can deliver your e-mails to the client. To do this, you will likely just have to open the e-mail software you have and enter your SMTP parameters. You will need to know your SMTP’s server specification name. This will look something like name.example.com and should be easily found from your e-mail provider. You also need the SMTP port number that is used by your incoming and outgoing mail server. A port is the communication endpoint of your computer’s connection to a network. Port 25 – The default SMTP port is port 25. But, some IP’s will not allow this because it can be affected by spam and malware traffic. Port 587 – Most outgoing SMTP servers support port 587 for encrypted connections. Port 465 is usually used when connecting with SSL. If your mail server supports secure socket layer (SSL) or transport layer security (TLS) encryption, then you may want to enable this. This adds a layer of protection that prevents third parties from being able to read your e-mails. Why Use SMTP With a Web Hosting Account? In order to send email, you can use the SMTP server provided by your Internet Service Provider (ISP), or you can use the one provided by your web host. For normal email purposes, either will suffice. Some hosts prefer you to use your ISP’s SMTP server and will set their rate limit low to discourage heavy use. The rate limit is the number of emails that can be sent over a specific period. Sometimes, you can purchase additional “credits” so that you can send mail to more recipients during that period, but this is a clumsy way round the restriction if you frequently send a lot of emails. In some cases, your host may offer an SMTP service that’s not suitable for your needs. For example, the host may limit the size of messages you can send, or use the host to send out large numbers of email marketing messages to a mailing list. If that’s the case, you can opt for separate SMTP hosting that’s separate to your web hosting account. For separate SMTP hosting, there are multiple options to check out. One of these is Greatmail. The company provides hosting for SMTP and allows for bulk e-mail sending with their support of high-volume sending applications. Their hosting allows you to bypass the restrictions that you may encounter from ISP or web hosting companies. But bear in mind, these kinds of plans won’t be cheap. They’re better-suited to large businesses that send over 50,000 emails per month. For smaller projects, your best bet is to find a web host that supports the e-mail sending requirements that you have. 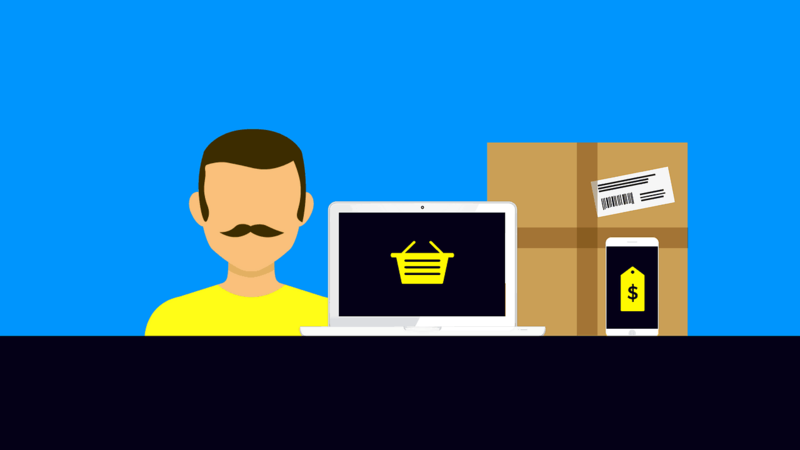 Most common web host providers will give you everything you need for small business SMTP e-mail. Many hosting providers will list their e-mail features under each of their plans. You basically need to see that they support SMTP, POP3, and IMAP. It will also be helpful for you if their e-mail server supports third-party clients. This will be useful because may not want to be confined to your hosting account’s control panel to check and manage e-mail messages. If you’re running a business where you communicate with customers, you’ll likely also want more than one e-mail address. This is so you can send customer inquiries to one email address such as support@domainname.com, and use another email such as noreply@domainname.com to send marketing emails. Your business will look more professional as a result of this. And, if you have multiple staff on your team, you can give each one of them their own e-mail for work collaboration. Or give out the support e-mail addresses to members of the support team for example. Many hosting providers allow individual e-mail accounts to choose their own web clients, so they can customize their e-mail environment however they like. Some hosting providers also offer drag and drop e-mail design and personal branding features. Many of these include e-mail templates which will make it simple for inexperienced designers to create stunning newsletters or promotional announcements. You know, like the kinds of e-mails that show up in your inbox from clothing stores and blogs you follow. These e-mails have much higher click-through rates than those that just contain plain and simple written text. Another option is Amazon Simple Email Service (Amazon SES). This comes with Amazon Web Services (AWS) which you can use for free for 12 months. Amazon can give you powerful and scalable e-mail sending and receiving solutions through their platform. This service is targeted more so at businesses and developers. Amazon helps your e-mails reach high deliverability rates with content filtering technologies and dedicated IP addresses. The best thing about Amazon’s e-mail hosting service is that it is extremely cost-effective. You pay as you go and only for what you use. In the end, you won’t pay much if you aren’t sending huge numbers of e-mails. With Amazon SES, you can also send e-mail metrics to Amazon CloudWatch that will further analyze your e-mails’ performance. There’s one problem with SMTP, and that’s the danger of misuse. Originally, SMTP was an open relay by default. An open relay can be used by anyone on the internet, and this was very useful when email servers passed emails from server to server in a relay configuration, as they did in the 1980s. As the web matured, the open relay method left SMTP servers wide open to abuse. A spammer could use an open relay to fire out thousands of emails without trace, causing untold spam problems and distributing viruses far and wide. Since the mid-1990s, security features have been implemented to curb the use of SMTP unless the user is authenticated. Open relays are actually illegal in the United States, and email providers are required to authenticate the person sending the email. Many hosts, particularly dedicated SMTP hosts, will bundle some kind of virus scanning and spam protection in to the price. If you’re accused of spamming, and you end up on blacklists, you may be granted respite after around four weeks of a spam-free period. To ensure your emails actually reach their recipients, use our email deliverability checklist. Don’t forget that many hosts offer webmail along their normal email services. Webmail allows you to access your domain email from a browser, and you can choose from a range of email clients depending on the features you need. Because the majority of hosts include SMTP as part of their services, most users probably won’t require a separate SMTP host unless they want to maintain their own outgoing email server or have concerns about maximum file size and port configuration offered by their ISP’s SMTP servers. Those who send out email “blasts” or a large number of newsletters might also be drawn to a separate SMTP host, as many ISPs block what they regard as suspiciously large quantities of outgoing email. For example, you may run into problems using Gmail to deliver huge quantities of e-mails. And you don’t want to risk valuable marketing e-mails not being properly delivered to your potential customers or blog readers. As always, it’s best to check with your host for specific details on what limits may be in place, and what options and services are available. With SMTP servers, you can use your own e-mail addresses on your personal or company domain. It can be difficult to compare all your webhosting choices, so I’ve picked out the best hosts based on their SMTP offerings. 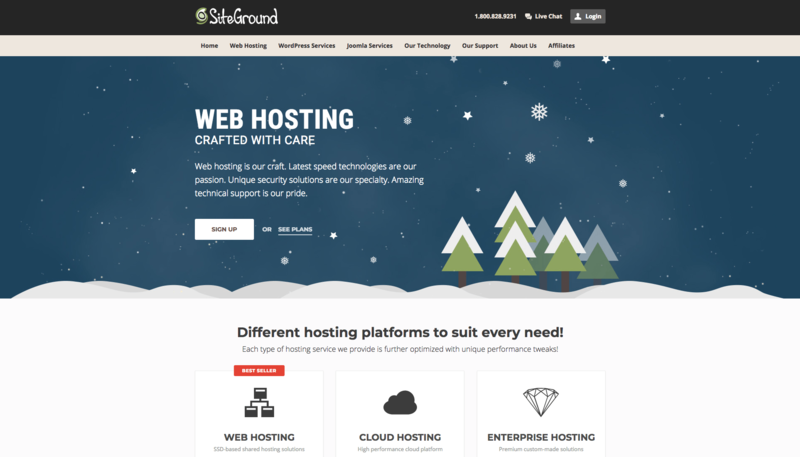 Our winner for the best e-mail hosting on a budget is SiteGround. They provide a customized hosting solution for managing unlimited e-mail accounts on your domain. To make your life easy, they’ve added third-party and their own custom solutions to make sure your e-mail experience is fast, secure, and free of spam. For example, they’ll give you anti-spam solutions like SpamExperts enabled by default. And, easily manage your e-mail from their user-friendly control panel. Their e-mail hosting supports SMTP, POP3, and IMAP. With Bluehost, you’ll get unlimited e-mail accounts and e-mail storage on all but the cheapest of their shared hosting plans. Like SiteGround, Bluehost also has secure POP3 and IMAP support. Their e-mail server is compatible with third-party clients like RoundCube so you won’t have to enter your control panel every time you want to check your e-mail. Bluehost also gives you unique user account controls so your team can manage their e-mails the way they want. 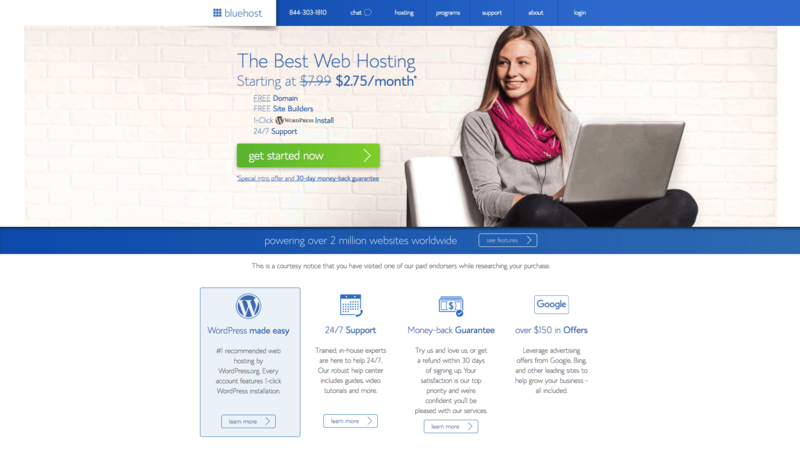 Similar in price to both Bluehost and SiteGround, WebHostingHub also provides great e-mail hosting support. Even their cheapest shared hosting comes with unlimited e-mail accounts and storage. And when you host with them, you’ll get free advertising credits for Google AdWords. Though the company doesn’t have options for higher-performing VPS plans. These may be needed by businesses that require more power and control. SiteGround, on the other hand, has these options. Does my email client support SMTP? Yes. All email clients support SMTP. SMTP stands for simple mail transfer protocol. It is the standard protocol used to send email messages. How long has SMTP been used? The components of SMTP started to form in the 1960s and 1970s. Standards began to develop, especially in the context of the government’s ARPANET, the forerunner to today’s Internet. SMTP was officially outlined by Jon Postel in RFC 788 in November 1981. When you compose and send an email message, your email software opens a connection to an SMTP server. This normally involves logging in using a password. To transmit the email, your email software sends a series of text-based commands, including details about the sender, recipient, and content. The server confirms each command, and once the message has been received successfully, it uses DNS records to find out the IP address where the email should be delivered. Will my host allow me to use SMTP? Yes, assuming your plan includes the ability to create email mailboxes. To prevent spam and abuse, each person that sends emails will need a username and password. You can set those up in your control panel. Not always. But it was never designed to be secure, because it was invented when the internet was very small. Keeping SMTP simple, like its name, meant that it was more reliable. Email delivery has been adapted to tackle modern challenges like spamming, so most servers now require your email software to log in before sending an email. Many also require that the connection between email client and server be encrypted via SSL or TLS to encrypt the login details, and the email message itself. However, that doesn’t ensure that the email will be secured from your computer to the recipient’s computer. If you want to ensure that nobody can read your emails in transit, you should use something like PGP encryption. Ports are the entry and exit access points for data on a server. An OS can have tens of thousands of ports. Some are reserved for specific kinds of traffic. Which ports does SMTP use? On SMTP servers, ports 25, 587, and 2525 are standard. Some email servers still use port 465, but this is officially deprecated. What is the difference between SMTP and POP3 / IMAP? SMTP is for sending email. POP3 and IMAP are for receiving email. Do I need to use SMTP with email forwarding? No. When you create an email forwarder, you are essentially creating an alias for incoming email. You will need to send email using a different account. Many people use the email SMTP details provided by their ISP, but you could also use a third party webmail service like Gmail. Are there any alternatives to SMTP? There are some vendor-specific alternatives to SMTP, but these aren’t offered with regular web hosting accounts. Where do I find the SMTP settings for my hosting company? Before you sign up for a web hosting account, check that email service is included. Some hosts do not allow you to create email addresses alongside your web hosting files. Assuming you can create email addresses, you’ll need to create mailboxes in your hosting control panel, then ask your host for the necessary server information to connect to them. MX records are part of the DNS record for your domain. They tell other servers where to send email messages for that domain. You don’t usually need to add or change MX records, unless your host or email provider instructs you to do so. Can I send my email newsletter using my host’s SMTP server? Be very careful when sending a high volume of email messages at once. This can be flagged as abuse or spamming, particularly if you are advertising a business. It’s safer to sign up for a mailing list company, and send all of your marketing messages through them. If you do want to host your own list, you should install a mailing list script that provides options to unsubscribe. This is required by law in many countries. Why do I get error 554 when trying to send an email? This usually happens because your SMTP settings are incorrect. You may have the wrong server, the wrong username or password, or the wrong security settings in your email client.